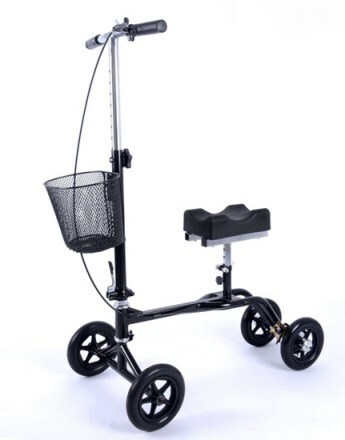 A Knee Scooter is an alternative to crutches, all you need to do is place the weight of your body on the scooter's knee pad and you're mobile. 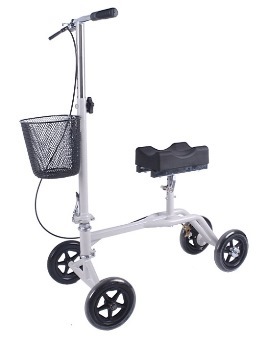 This allows your lower leg injury to be non-weight bearing and allows it to rest while you move about. 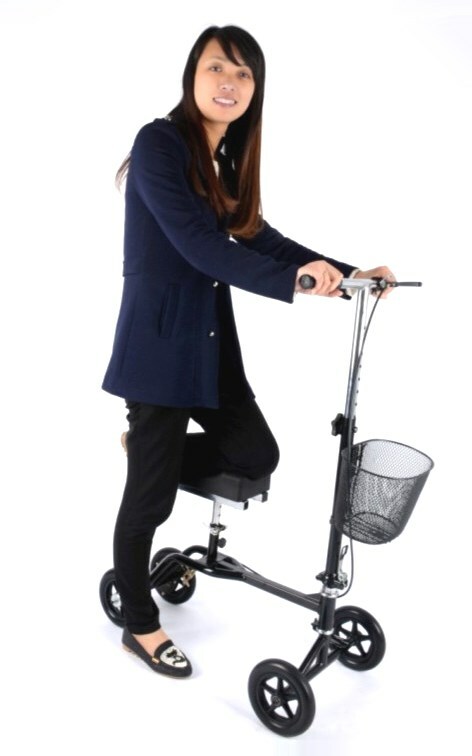 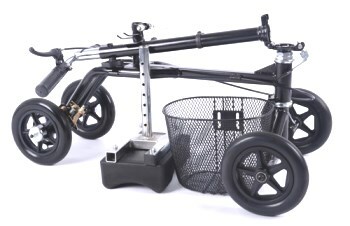 The Knee scooters are also much easier and more comfortable to use than crutches.